This landmark of a tree stands in Methuen Road, New Windsor. What appears to be quite a spindly frame bulked up with the aid of ivy or similar climber. Never seen anything like that before. that’s fantastic! 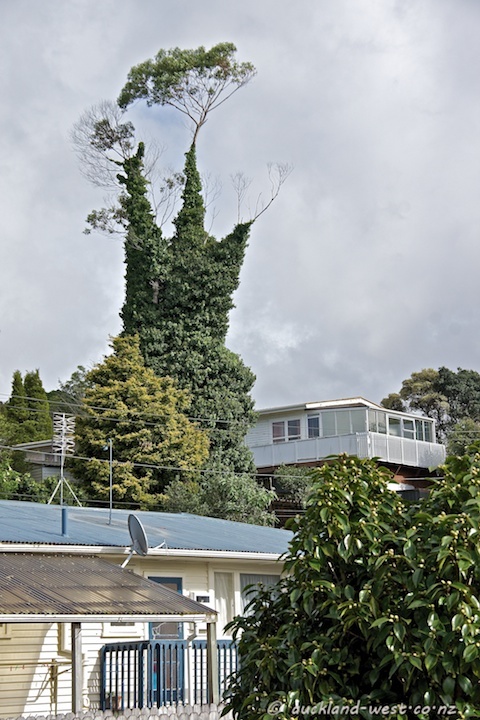 it looks like a tree in a dr. seuss book!